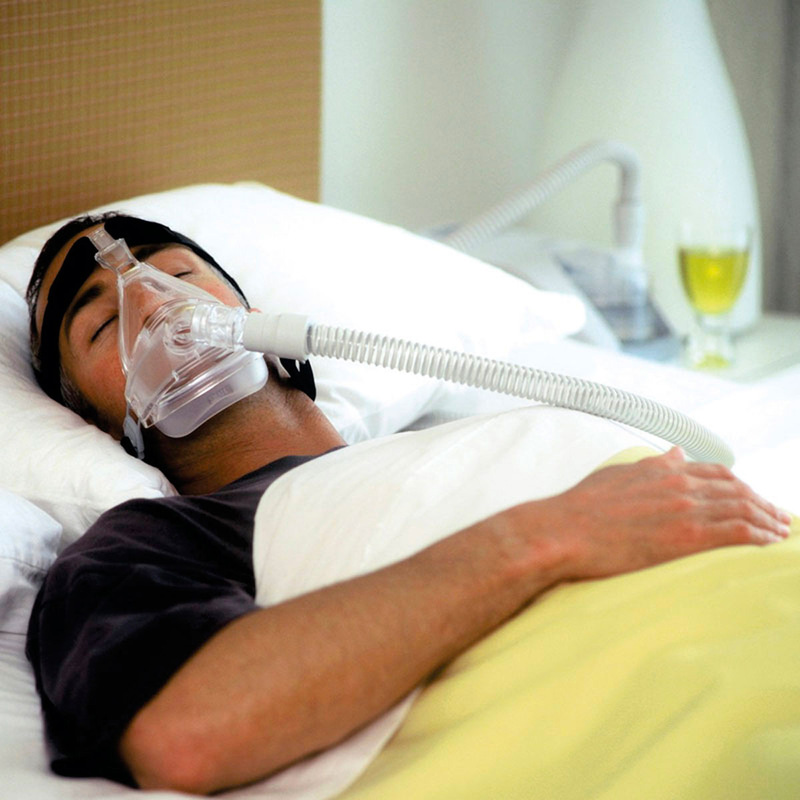 The FlexiFit Series 431 Full Face Mask from Fisher & Paykel Healthcare provides a brilliant new alternative for full face mask users or any CPAP user who has experienced problems due to mouth breathing. The FlexiFit 431 incorporates many of the great design features introducted the original FlexiFit series masks including a unique Glider strap which allows the patient to move freely while maintaining a secure seal; and three highly contoured Silicone Seals (Small, Medium and Large) based on Fisher & Paykel's extensive anthropometric facial contours database to create a more personalized fit. In addition the 431 has some great new features such as the crown strap, shown at right, for extra stability and the Full Face, under the chin design which improves overall mask stability during use. 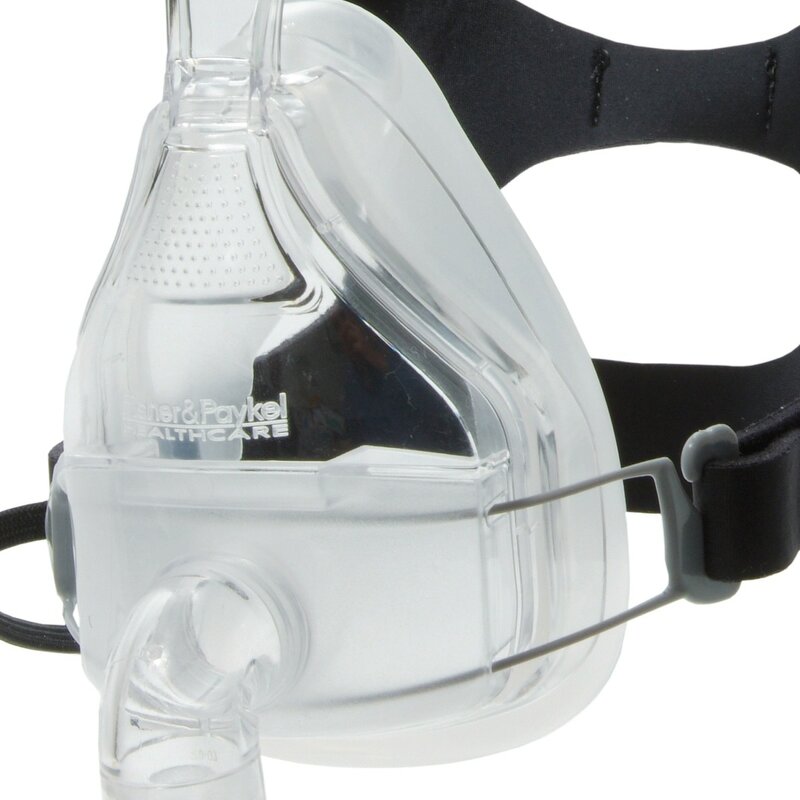 In the end the FlexiFit Full Face is a great addition to the FlexiFit line and the perfect new mask design for CPAP and BiPAP users who haven't yet found the Full Face Mask they're looking for. Advanced diffuser system provides a quiet mask and prevents air blowing on the bed partner. Nice easy fit. Its designed to help keep my mouth shut. No more dry mouth and I sleep great. I have been using the Flexfit for 10 or more years, my only problem is with the idiotic people at Medicare and the insane requirements to file a claim with them. Anyone that wants Medicare for all should have to suffer through a year with Medicare and they would rapidly change their mind. PS it is a great mask, no problems with the Flexfit. I have placed multiple orders from CPAP exchange and been using the FlexiFit 431 for years. thank you. A good mask. A good value. Mask strap is hard to attach into the female clip. Maybe with time I will get the hang of it. Also, the female clips seem to be attached to each other with a plastic wire ( it mat be metal wire with a covering of plastic, do not know ). If plastic, what, if any, problems have you encountered with this product ? The mask did not fit at all. I tried the small. medium and large cushion and none of them made a seal. A very uncomfortable mask. Difficult to get a good seal. It seems difficult to get a really good seal. A very good mask for the money for the money! The Flexfit 431 is a really good mask with the 3 sizes included so you can get a good fit without having to buy 3 different cushions. One thing I would like to see would be a foam cushion for the 431 Flexfit. I had a slight problem with sealing around my cheeks and think the foam would help with the sealing on the face. I like the way the cushion had the piece under the chin to help hold the mouth closed as I am a "mouth breather". I consider this mask the best of several that I have used. Always the best. Will do business with again. This one is great, too! Excellent service, speedy delivery, exactly the product I ordered. i have used this set-up for the past 12 years. I have found no reason to change it. It is a full face mask and others may have trouble with that but I love it! This is actually my second one .. 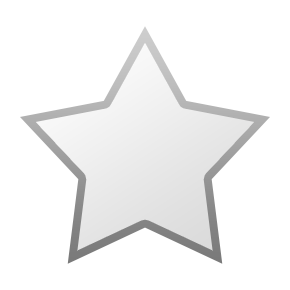 I reordered this one because it fits my face well and I sleep great with this on! Thank you!! It didn't fit very well. It would be better if I could heat the plastic to form to my face better. I am used to F&P Simplus mask and this one is just too rigid for me. It still has good cushioning, but being larger than the Simplus it just isn't as comfortable to me. However, I do honestly believe F&P have the best and most comfortable CPAP masks on the market today. I will be returning this one, however. my order had to be altered and it was handled well thank you! It's the mask I first started with and I slept the whole night since day one with it. I still get a great night sleep with it today. I tried this product once before. The air leaked out at only 11.5 CM H2O (low pressure). Eventually the frame cracked making it useless. The mask part aged and went gummy. I meant to order a different mask this time, but made a mistake. Very Very quick service and excellent price! I've used a CPAP for years. Local costs for supplies are outrageous. CPAPExchange made the purchase easy, the prices were as good as any I've found, and my order was received in a few days. Highly recommended. I can not keep the air from blowing out the sides no matter what size I use or how tight I make the mask. I guess it can't take 17 lbs. pressure. Tried for two weeks. NO GOOD. This mask fits very well and has minimal leaks. Comes with the best headgear I have used. Lots of adjust-ability for a custom fit. Had to work with it a bit to get the correct fit, but once dialed in, this is a very comfortable mask. It does not fit right and looses air during the night. I wore it one night and I had to strap it down so hard to work it left marks on my face for three days. Finding the right fit for this mask is difficult, largely due to the fact that there are 6 points of adjustment. I have yet to find a solution that is entirely leak free, but after 2 weeks it is finally not drying my eyes out every night. THE MOST comfortable and quiet mask I have ever used. 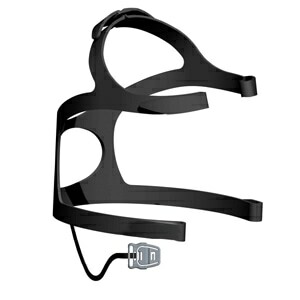 The headgear actually makes sense, and is adjustable to just the right position and snugness for a comfortable fit. I'll be back!! Excellent!! Do Not like it. Could fit better, needs better seal and padding at forehead. This mask is very soft and comfortable; however, it is too soft. The mask cushion collapses serveral times per night. The noise that resulted from this woke me up many nights. If you try this mask, purchase the insurance with it in case it does not work for you. This mask is being returned. I am returning to my Quattro Mask. I am having a problem with leaking after the pump reaches top pressure. Am waiting for appt with my sleep doctor to see if a reduced pressure is in order. I'm using the medium pillow, the other two are out of question. Absolutely LOVE this face mask! Have tried at least half a dozen & gave up for a while--until I tried FlexiFit 431 Full Face mask. It DOES NOT leak, DOES NOT leave indented marks on the face next day, & I DO NOT take it off during the night unknowingly. Keeps my mouth closed (even w/damaged jaws from RA). Do buy it! Two weeks for my new mask. My order came very quickly, and was in good condition when I unpacked it. The mask connections fit perfectly with my existing machine the first time. It took a few tries to get the straps adjusted correctly, but even with my chin beard, the mask fits well. Even when moving from left to right sides to sleep, the hose does not pose a problem. Only problem is finding a sleeping position for my head that does not cause the mask to leak. Tightening helps, but becomes uncomfortable. Just got the mask a couple of days, ago. Shipping time was excellent. While trying on the mask multiple times, selecting the right size cushion, one of the Velcro strips pulled off of headgear. It was heated, glued or pressed, don't really know. Another mask/headgear from a different company does it the same way, that I have had for almost six months, with no issues. To solve problem, I had to break out needle and thread, and band aid afterwards to make it work that night. Liked the way the mask fits, though it puts too much pressure on bridge of nose. Adjusted every which way to correct, but could not. Need to get pad to go on nose bridge to fix that. Comfortable, tight seal, easy to a adjust headband. I like it. 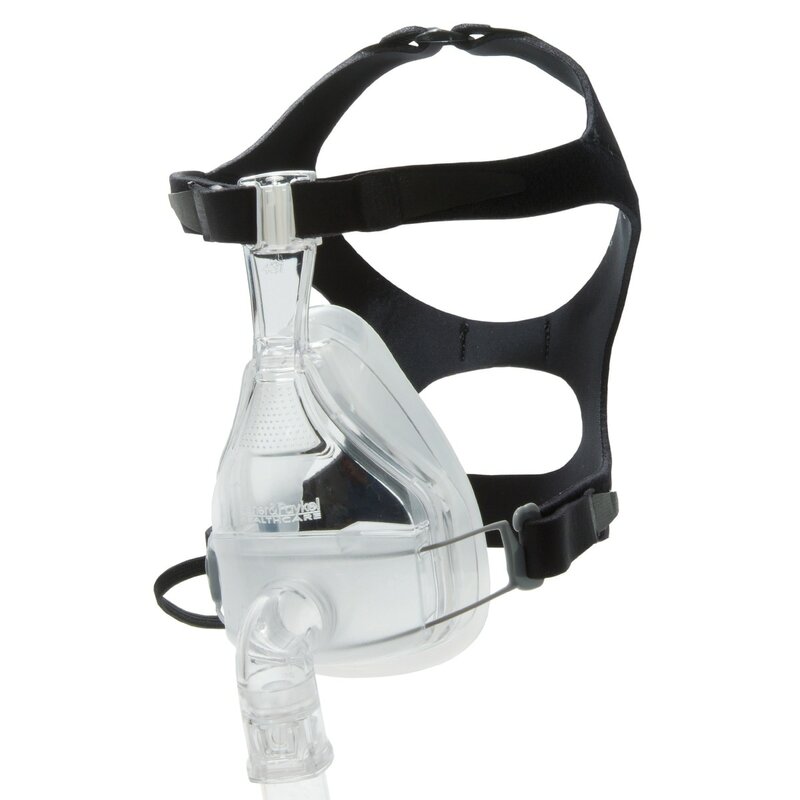 The price on the CPAP mask and headgear that I recently purchased was great. Delivery was quick and came to my doorstep. I've been a long time user of the Hans-Rudolph V7300 FFM. I really liked that mask because it has built in chin support and easily molded to fit my face, being that is was a soft mask. However, even with that, I still had to make the straps fairly tight due to my high pressure. I decided to give the FlxiFit 431 a try. I'm impressed! Since it comes with all three sizes, fitting is a breeze. I get a good seal with out having to really tighten the straps and it is comfortable. The only drawback is the way the upper straps are done. The Hans-Rudolph did not require a forehead support, so that is a little annoying with this mask. This mask is ingenious. I will never buy another style. Having 3 fit options is fantastic. I have a large face and the larger of the 3 options is perfect. No leaks = a good nights sleep. I have used the Flexifit 431 for most of the last 10 years or so. I have facial hair so it's been very hard finding any masks that keep a seal. I have tried numerous "new and improved" masks that have come on the market making all kinds of promises, but always come back to this one. Far and away, the best. I've used a biPAP machine everytime I sleep for seven years. During that time, I've tried at least six styles of mask assemblies. This is the one that works best for me. I have fewer problems with escaped air around the mask. I am more comfortable with the mask grip around my chin. I sleep on my side most of the time and this style works well for that. Have tried several full face masks, but this is my third 431 and I love it. Once you get the adjustments set, you sleep without leaks. This is my third Fisher Paykel Model 431. I tried out a lot of full face masks when I had to change from nasal only to full, and this is the only model I found that didn't leak. I like the way it comes with multiple sized masks--as when one of mine tore, I just switched to another size without much difficulty. The only difference between this new one I just ordered and my old one, is that the new one makes more noise through the exhalation port than my old one. No idea why--they look identical. I am so happy with this mask. I have a Mirage Quattro which making an ongoing sore on my nose so I decided to order this as a second mask. It is fantastic. However, the first couple of nights I had a lot of trouble with the 431. It seemed like I had to tighten it so much that it really dug into my cheecks or it would leak near my eyes. I kept working with it, trying to loosen it a little at a time and finally got it where it is perfect for me. What I like best is that the bottom seal comes under the chin. I can move my mouth around and the seal doesn't come undone and leak. It is a terrific mask. I use REMzees with it and next time will not order the ones that go with the 431. I will be ordering the ones that fit the Mirage Quattro medium. They actually work better with this mask (small seal)for me than the ones that are supposed to fit it. They don't fit about an inch at the top of the chin but I still like them better. When I need a new mask, I will try the F&P 432 but this one is great. i love this mask. it is so much better than all the rest i have had/tryed. i have had 4 other mask and no luck with any of them. this one is doing more for me in the last 2 weeks then the others have all together in 4 years. i will buy this one again when its time. Very hard to ajust! Hurts nose bridge!! When useing ramp up Leaks like a Strainer!!! JUNK! No Sleep!! Otherwise Good product!